A Canadian based entrepreneur and philanthropist of Ika extraction, a native of Igbodo kingdom, Chief Emmanuel Mbulu, The Akulue-Uno I of Igbodo Kingdom, in Ika North East Local Government Area of Delta State. Chief Emma Mbulu, whose greatest passion is to give back to his community by helping to improve the lives of the rural dwellers worldwide, through development, education, scholarships and charitable contributions, likens giving to solving the problems of humanity, to being as natural as breathing, is at it again. 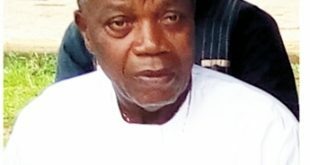 The great virtue of benevolence which is usually displayed by the Akulue-Uno I of Igbodo kingdom, played out recently, at Anglican Grammar School, Ubulu-Uku, Aniocha South Local Government Area of Delta State; his Alma mater, where as an old boy of the school, he single-handedly renovated a Dormitory which has long been abandoned due to its deplorable state; the long dormitory building containing two big halls, was christened, “Emmanuel Mbulu House I,” while the second Dormitory building, christened “Emmanuel Mbulu House 2,” was re-built completely. Both buildings were dedicated to God, on Wednesday May 16, 2018. However, the buildings have not been formally commissioned. House 1 was dedicated to the memory of his late father, Late Chief Egobudike Mbulu while House 2, to the memory of his late mother, Mrs. Teresa Mbulu. 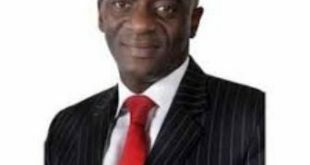 In a telephone conversation recently with Ika Weekly Newspaper reporter, Chief Emmanuel Mbulu, said, he was not satisfied with the way government functionaries are neglecting their duties and obligations in bringing development to majority of the rural communities in Nigeria, hence his humanitarian services, which he believes should spur him to do the needful. Speaking further, he recounted, his early years, how his father always gave him hope and when his father died, it was his advice of “never give up, never say you can never do anything;” that kept him alive to make a difference in someone else’s life. Sharing his ordeals, Chief Mbulu, disclosed that as an international student struggling to pay his school fees and bills in Canada, he worked as a dish washer and taxi driver to make ends meet and still sent money to his mother and siblings back home. He said he was 13 when his father, a former school teacher, was murdered in Northern Nigeria in 1966, before the outbreak of the Nigerian civil war. He said, as a result of this, the family was driven into poverty, and as the eldest child, he assumed responsibility of providing for his family. According to the philanthropist, it was this and his experience after coming down south from the North, and the scholarship award given to him in 1967, by the military administration of late Brigadier Samuel Ogbemudia, of former Bendel State that enabled him sail through Anglican Grammar School, Ubulu-Uku and his sojourn at the York University in Canada, that made him vow to give back to the institutions and communities that he loves so much. 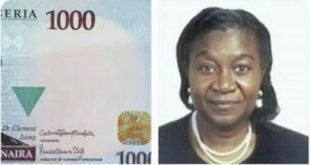 He said after his first degree, he completed a Masters Degree in Business and Public Administration degree in the United States and later returned to Canada to live with his wife, Annia, The Odozi-Aku of Igbodo kingdom who also attended York University. In 2004, Chief Mbulu said himself and his wife established the Chief Emmanuel Mbulu Foundation. 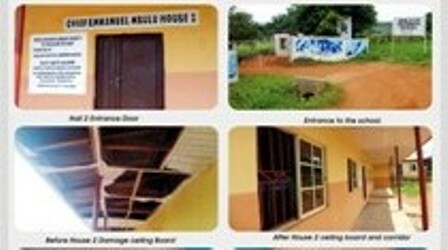 Some of the laudable projects executed by the Foundation, since it was established include; The School Dormitory at Anglican Grammar School, Ubulu-Uku, The Bishop and Vicarage of St. Georges Anglican Church Igbodo, Dormitory at Mary and Martha Juniorate Convent Igbodo, The Chief Emmanuel Mbulu Community Town Hall Igbodo, Emmanuel Mbulu Primary School Igbodo, Renovated the St. Georges Anglican Church Igbodo and also built a classroom Block at the Mary and Martha Juniorate Convent Igbodo. The areas of expertise by the Emmanuel Mbulu Foundation include; Philanthropy, fund raising, scholarships, water conservation and management irrigation. Speaking further during the telephone interview, Chief Mbulu extolled the developmental strides recorded by the Delta State Governor, His Excellency Senator Ifeanyi Okowa, he however encouraged the first citizen of the state to focus more on the rehabilitation of all the primary and secondary schools across the state. Continuing, he frowned at the situation where most Nigerian youths in the course of traveling overseas for greener pasture get drown in the Mediterranean sea and in some cases others are being enslaved by their agents in the foreign countries, saying that the situation is indeed an embarrassment. He advised the youths that the situation in Nigeria is better than travelling abroad and be enslaved. He urged the leadership of the country to make life better for the citizenry, in order to curtail the high rate of migration by the youths. He further encouraged Nigerians in the Diaspora to always extend hands of affection, no matter how little to their communities, because there are blessings from God that is attached to giving. Sponsored and helped many sons & daughters of Igbodo & Nigerians to travel overseas for further studies. He inspired many generations to achieve their Dreams. Built a Primary School – Igbodo, Delta State: In an effort to ensure the safety of children and stop the deaths of young children who were attending school in Igbodo, Chief Mbulu provided the funds, built & donated a Primary School in Ndobu Village, Igbodo, Delta State. The original Primary School was located across the Lagos – Asaba Highway. As a result, many young children were killed while trying to cross the highway in order to attend school. The School is at full capacity from Primary One to Six. The Delta State Government has named the school Emmanuel Mbulu primary School to Honour the Chief. Now, children have access to free education, and families do not have to worry about the safety of their children. Chief Mbulu & his family continue to fund the School. Built a Community Town Hall – Igbodo, Delta State: In an effort to bring traffic from neighbouring towns and fuel the development of Igbodo and surrounding areas, Chief E. Mbulu built a Town Banquet Hall in Ndobu Village, Igbodo. He imported banquet tables, chairs, table covers etc. and provided an Electrical Generator Set for the Hall. He also supplied the Hall with a Water Toilets System, and Water Head Tank. Built and donated a Two Storey Building for the Archbishop / Vicarage of the Anglican Church, in Igbodo, Delta State, Nigeria. Renovated the main Anglican Church building, Igbodo. 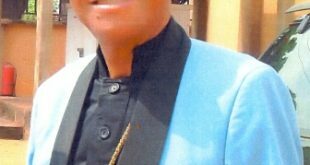 Paid over N1,000,000 (0ne Million Naira) for the fencing of the Church Premises. Helped with the payment of the Assessment for the Church when necessary. Built and donated a Block of Two Classrooms for Mary & Martha Juniorate Girls Secondary School, Igbodo, Delta State. Built Three Separate Dormitories for Mary & Martha Juniorate Convent Girls Secondary School in Igbodo, Delta State, Nigeria. This Hostel accommodates over 100 students. Built and donated a Water Well for Mary & Martha Juniorate Secondary School. Fenced part of Mary & Martha Juniorate College Premises. Helped with the maintenance of Ndobu Road, Igbodo. Chief Mbulu donated millions of Naira towards the building of the New Obi’s (King’s) Residence. He donated the first N1, 000,000 (One Million Naira) to kick start the construction of the New Obi Residence at the Palace. By The Power Of God, Chief Emmanuel & Chief Mrs. Annia Mbulu Paid the School Fees, Accommodation Fees, Books, & Maintenance in the University for 4 years for HRM The Obi Of Igbodo (The King). Also contributed to his Coronation. Contributed towards the building of the New Police Station in Igbodo, Delta State. Contributed towards the purchase of the Patrol Vehicle for the Police Station, Igbodo. Built a Dormitory to the Chief’s Secondary School Alma-Matter, Anglican Grammar School Ubulu-Ukwu, Delta State in year 2000. In fulfillment of a vow he made to himself and God in the days when he was a struggling student, he set up the Chief Emmanuel Mbulu Family Award at York University, Toronto, Canada (their Alma Mater). This yearly scholarship in perpetuity is to help needy and community oriented students of Nigerian decent to complete their education. The Chief Emmanuel Mbulu Family Foundation has also set up Funds to be managed by the Community Foundation of Mississauga, Canada to yearly grant in perpetuity to The Sickle Cell Awareness Group of Ontario. Chief Mbulu & his family has founded and helped various Sickle Cell associations over many decades. The Inner Circle Club, Toronto. Donated financially to help launch a Nigerian Sickle Building in Nigeria. Camp Jumoke. Donated over $6000 to Camp Jumoke for the Promotional & Educational Videos & Materials for Sickle Cell children. Donated to The Jules Sickle Cell Association. Chief Mbulu is a proven leader and a high achiever in the areas of business, philanthropy, and social and community involvement. He is an exemplary role model of achievements that are within the grasp of each and every African-Nigerian-Canadian and any person with the ability to dream and acknowledge that with Christ Jesus the impossible becomes Possible! He believes that the more you give, the more you receive. Overall, Chief Emmanuel Mbulu has made a profound and positive impact in Nigeria, Canada, USA and several other countries of the world. He is a living, breathing example of what a good leader, mentor and citizen should be. Chief Mbulu has also won several awards and recognition: A few are mentioned here below. The Prestigious Canadian Harry Jerome Award for Business (2007) by the Black Business & Professional Association (BBPA). The Canadian Trade Commissions Service (2002) for Canada’s International Business Development. Diocese of Ika, Delta State, 2001, Award for Immense contribution to the Spread & Growth of Christianity in Ika Land. 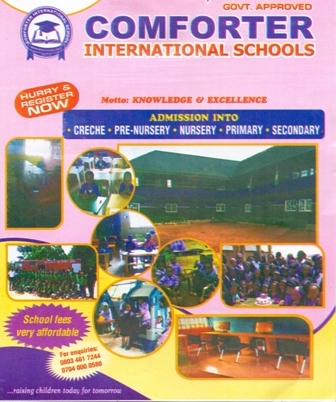 Anglican Grammar School, Ubulu Uku, Delta State, 2000,2001 & 2007. Awards for Enormous contribution to the development of Your Alma- Mater. Ministry of Education, Delta State, 2000; Outstanding Generosity and Contribution to Education acknowledgment letter. Nigerian Canadian Association (NCA) (2000, 2007, 2010 & 2012) Certificate of Excellence and Outstanding Business Award & Award for outstanding contribution to the Nigerian community. 2003, Donated over $6000 to Camp Jemoke (Sickle Cell) for production of educational materials & Videos. Sponsorship & Generosity Award, Planet Africa (2004) Canada. In August 2010, Chief Mbulu was given the Humanitarian Award by the Sickle Cell Miracle Network of Canada. The Canadian Government (House of Commons) presented Chief Mbulu with a Certificate of Appreciation and Recognition for his successful efforts and contributions to the Canadian community. December 14, 2011 Community Foundation Of Mississauga, Recognition for Outstanding volunteer service. Received the Community Development Award from the Anambra State Association of Canada on December of 2011. On Sept 29, 2012, Chief Emmanuel Mbulu was awarded the Prestigious UNITED WAY OF CANADA AWARD in the Leadership in Business Category. Chief Emmanuel Mbulu is a Patron of NCA, Nigerian Canadian Association. In 2013, Miles Magazine, The Largest Canadian Christian Magazine Network bestowed Chief Emmanuel Mbulu, A Life Time Philanthropic Award in recognition for his Philanthropy. 2015, United Way Of Peel Recognition & Award for being an Agent of change. 2016, Nigerian Canadian Association, (NCA) Life Time Achievement Award. 2017, Sickle Cell Awareness Group Of Ontario (SCAGO) Community Award For Excellence. The City of Mississauga, Canada has named a Street, “CHIEF MBULU WAY”, which has now immortalized his legacy of Philanthropy and Entrepreneurship. Speaking to newsmen about the two building recently built and donated to Anglican Grammar School, Ubulu-Uku, the school principal, Mr. Emmanuel Eluemunor Idegwu, thanked God for bringing a kind-hearted man in the person of Chief Emmanuel Mbulu, to assist the school with both buildings at a time when they needed it most, saying that the school authority is very grateful. He disclosed that the projects were sponsored by the Akulue-Uno. He described the donor as a philanthropist who believes in giving to the development of humanity. He disclosed that whenever they are talking, the Chief always say that Anglican Grammar School, Ubulu-Uku, made him what he is today. On how the school is going to benefit from the projects, he stated that the school is going to increase the number of boarders. On how the students can be able to manage the projects, Mr. Idegwu, said he has two able prefects in whose company they will be able to manage the students in safeguarding the structures. He also advised the present students of the school to be hardworking and be more focused in their academic works in order to maintain the high educational standard which the school was known for. In a chat with Ika Weekly Newspaper reporter, Master Monye Precious, one of the school prefects, appreciated the laudable efforts of Chief Emmanuel Mbulu, whom he prayed God to bless bountifully. He advised his fellow students to be very careful with the projects and its facilities. He urged them to always keep the school environment clean, so that whenever the respected Chief would be visiting, he will appreciate the school and be very happy. Continuing, Master Monye, enjoined the Old Boys of the school to emulate the humanitarian gesture of Akulue Uno, and take up one or two projects in the development of their Alma mater. On his part, Engineer Sunday Ekwemuka, the project engineer disclosed that both projects were sponsored by the Akulue Uno. He stated that Chief Emmanuel Mbulu, informed him that the school was where he attended hence the passion to build it to quality standard. The Engineer also revealed that high quality materials were used for both projects, from the beginning to the end. He gave the life span of both buildings to last for up to Forty years. He also appreciated the principal, teachers and students of the school for the peaceful atmosphere and the cooperation he enjoyed from the community while handling the projects Engr. Ekwemuka, hinted that both buildings took him barely three months to complete. He prayed God to bless Chief Emmanuel Mbulu and his family for his selfless services in bringing development closer to his people. Finally, it is a known fact that the Government cannot singularly meet the needs, most especially social needs of her citizens. It therefore becomes imperative for public spirited individuals who have the well withal to complement the efforts of the government in ameliorating the suffering of the people, most especially at the rural community dwellers. It is to this end that this noble son of Ikaland, Chief Emmanuel Mbulu has for almost two decades, through the Emmanuel Mbulu Foundation been helping to improve the lives of the rural dwellers. The government should as point of necessity recognize and appreciate the efforts of public spirited persons who has assisted in the development of communities such as this true noble Ika son; Chief Emmanuel Mbulu.